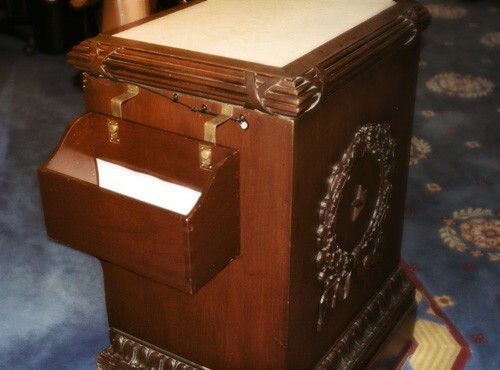 Representative gives the Bill to the clerk or drops it into the hopper and will give it HR number, but the senate announces the bill on the floor and gives it a S number. After the Bill is approved it is sent or reported to the house floor, after the Bill reported, the Bill will be ready to debated. When a bill is debated, Representatives discuss the Bill and explain why they agree or disagree with it. Then, a reading clerk reads the Bill section by section and the Representatives recommend changes. When all changes have been made, the bill is ready to be voted on. Division: The Speaker of the House asks those Representatives who support the bill to stand up and be counted, and then those who oppose the bill to stand up and be counted. Recorded: Representatives record their vote using the electronic voting system. 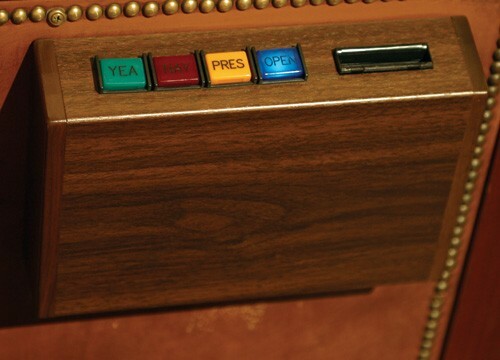 Representatives can vote yes, no, or present (if they don’t want to vote on the bill). If a majority of the Representatives say or select yes, the bill passes in the U.S. House of Representatives. The bill is then certified by the Clerk of the House and delivered to the U.S. Senate. Sign and pass the Bill—the bill becomes a law. Refuse to sign, or veto, the Bill—the Bill is sent back to the U.S. House of Representatives, along with the President’s reasons for the veto. If the U.S. House of Representatives and the U.S. Senate still believe the bill should become a law, they can hold another vote on the Bill. If two-thirds of the Representatives and Senators support the bill, the President’s veto is overridden and the Bill becomes a law. Do nothing (pocket veto)—if Congress is in session, the bill automatically becomes law after 10 days. If Congress is not in session, the Bill does not become a law. Does Proposed Senate Media Shield Law Hurt Independent Journalists?